Having released the Odd Talk debut album earlier this year and recently performed at this year’s ColdWaves VII in Chicago, Ganser now unveils a new single via online publication Post-Punk, titled “Pastel.” The band states the song to be an exploration into “the sticky-sweet, repulsive need for attention,” a seeming reflection of life in the era of social media where “everyone is an audience and everyone a performer.” Edited and conceived by the band as a montage of disparate found footage, the music video for “Pastel” is now available to view on YouTube, while the single, released by No Trend Records, can be purchased via Bandcamp. 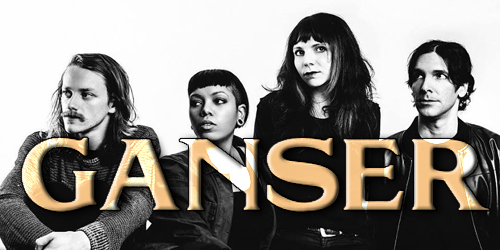 In addition, Ganser will be performing live at the Halloween Bomb Bash at Lincoln Hall. Subsequently, the band will perform two sold-out shows in November with Rhode Island’s Daughters. Ganser is also currently working on a sophomore full-length album, with plans for more live shows in 2019.